Nash County Arboretum, serving the local community since 2004, is an outdoor museum conveniently located at the Nash County Agriculture Center. Our gardens all are creatively designed, planted and maintained by Extension Master Gardener Volunteers. Take a stroll through to learn about our botanical collections while enjoying the fragrances and peacefulness of nature. The Arboretum is open, for self-exploration, 365 days a year! Visit as often as you like. 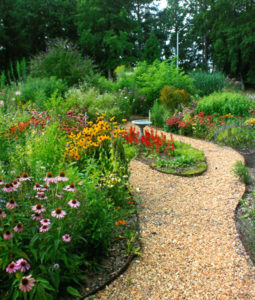 The Arboretum boasts a wide variety of garden areas, each with a unique theme. You can begin your tour by stopping to smell the roses in our Rose Garden. Next, stroll to the Terraced Garden and explore blueberry bushes, lilies and other interesting plants. Continue over the bridge into the Woodland Garden to experience a walk in the woods with beautiful azaleas, hydrangeas and other plants that thrive in shade. Just across the street is the 4-H Garden a clover-shaped garden signifying the four areas of focus of 4-H – hands, health, heart and head. 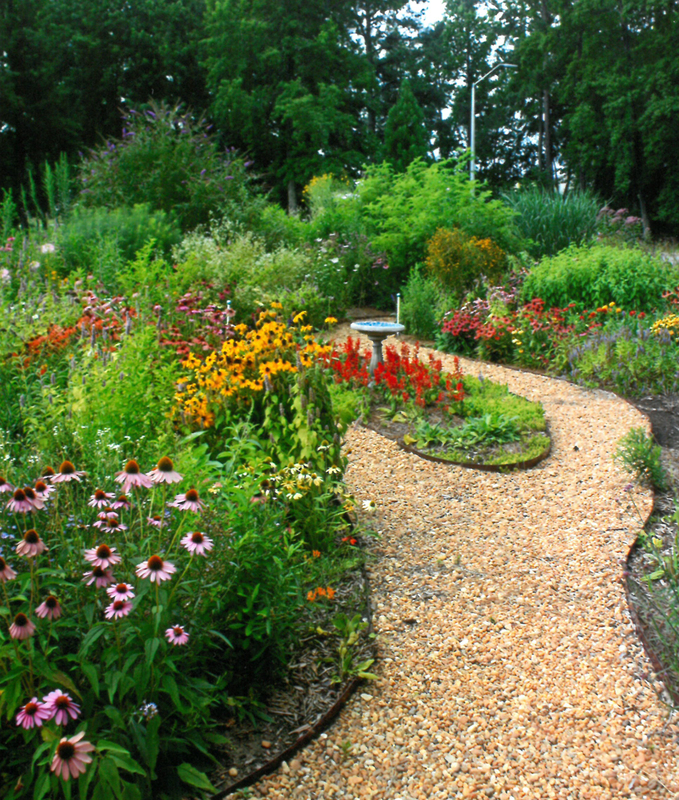 Next door is the Rain Garden, offering solutions for areas dealing with wet soils. Up the hill is the Demonstration Screen that displays trees, shrubs and grasses that can be used for borders and screens. Across the parking lot is the Pollinator Garden, always alive with beautiful flowers and the insects they attract. Visit the Patriot Garden, across the street featuring the kneeling soldier, garden of ceramic poppies and lots of other red, white and blue. The Holly Garden next door features a wide array of trees and shrubs in the holly genus. Next, meander to the far side of the building and enjoy a few moments of serenity in the Tranquility Garden. Lastly, finish with a stop at the historic Log Cabin, which is the heart of our next major project, the Homestead Garden, a re-creation of an old homestead. Our arboretum is a perfect place for outdoor portraits. We welcome families and photographers to take advantage a variety gardens that create beautiful backdrops for any occasion. We hope you visit and enjoy the Nash County Arboretum. If you would like to help with the maintenance of the grounds, please consider a tax-deductible monetary donation – 100% of funds are used for the general enhancement of the Arboretum. There are various levels of sponsorship and each level comes with benefits. Registration forms are available at the Nash County Agriculture Center or you may download the form below. For more information contact at 252.459.9810, visit us at or speak with one of our Master Gardener Volunteers. Be sure to like us on Facebook at facebook.com/NashCountyArboretum.